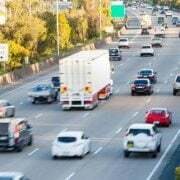 An alleged drug dealer has attracted the unwanted attention of Police, after driving erratically on the Pacific Motorway. 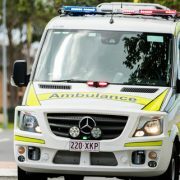 The 27-year-old from Mount Tamborine was stopped on the M1 near Tweed Heads on Friday afternoon, after Police noticed he was continuing to speed up then slow down as he headed northbound. “Officers attached to Tweed/Byron Target Action Group (TAG) stopped the Holden Commodore at Sleepy Hollow, about 35km south of Tweed Heads,” Police explained in a statement. “Police will allege, 70kg of cannabis was found packed in four sports bags in the boot (of the car during a search). 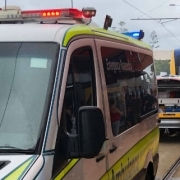 The man was arrested and taken to Tweed Heads Police Station where he was charged with supply a prohibited drug (commercial quantity), and deal with proceeds of crime. 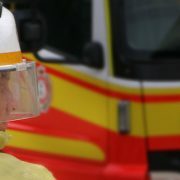 He was refused bail to re-appear in Tweed Heads Local Court on Monday.